When people talk about batteries, they sometimes talk about different things. And as batteries are becoming a key enabler to the electrification of Europe, many people have asked what a battery really is, and how Northvolt’s large-scale lithium-ion battery factory fits into the picture in relation to other battery related initiatives out there. A battery cell is a container to chemically store energy. They come in many shapes and forms. The three most common formats are prismatic (a rectangular box), pouch and cylindrical, similar to the ones in your flashlight you might have at home. And like in your flashlight, one battery cell is rarely enough to power the product. Instead, battery cells are connected in series and parallel, into a so-called battery pack, to achieve the desired voltage and energy capacity. An electric car for example requires 400-800 volts and one single battery cell typically has 3-4 volts. A battery pack is the complete enclosure that delivers power to a final product, such as an electric car. The pack contains battery cells, software (battery management system) and often a cooling and heating system, depending on where and how the battery pack is to be used. In large battery packs, the battery cells are arranged in modules to achieve serviceable units. The manufacturing of battery cells compared to battery packs or modules are two very different industrial processes. Battery cell production is primarily a chemical process, while module and pack production is a mechanical assembly process. 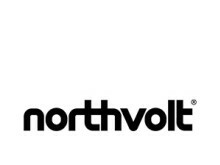 Northvolt is building a large-scale battery cell manufacturing facility focused on process innovation, scale and vertical integration. Compared to traditional lithium-ion battery cell manufacturers, Northvolt’s production process spans across many portions of the value chain and the factory is designed to achieve optimal scale benefits. This results in a structurally lower cost level and also allows for a high degree of cost and quality control. Once completed, it will be Europe’s largest battery cell factory, producing 32 GWh worth of cell capacity annually. Over the past few months, there have been a few other battery related initiatives announced in Sweden. These are factories that will produce battery modules and packs and not battery cells. Yet, they are, just like Northvolt’s factory, often referred to simply as battery factories. Although they are different from Northvolt’s battery cell factory, the module and pack factories play a key role in the establishment of a complete European battery eco-system. Europe needs several more manufacturers of both cells and modules and packs in order to fully enable the industrial electrification. Because, whether you are talking about cells, modules or packs, batteries are the key to the transition to a more sustainable way of using energy.